Construction of Jacarepaguá started in 1971, but it was soon abandoned due to a lack of money, being completed only in 1977. 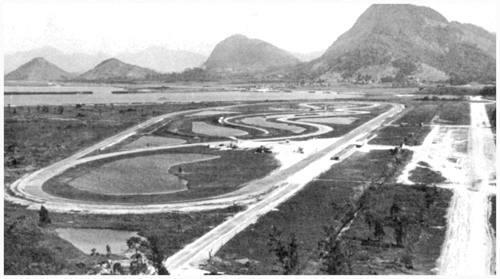 It was built on the site of the Barra da Tijuca road course (see below), and was named after the nearby lagoon. The track held the Brazilian GP from 1978 until 1990. The 1.864 mile "roval" track was built to host the CART series, although for 2001 the series was due to revert to the GP track until the city's mayor cancelled the race. There were plans to demolish the circuit, but after lobbying the track remained open, but with half the land closed to accomodate the building of a velodrome and acquatics centre for the 2005 Pan-American games - this forced the closure of the "roval", known as the Autodromo Emerson Fittipaldi. The track was to be closed fully at the end of 2012 to make way for an Olympic Village for the games in 2016. 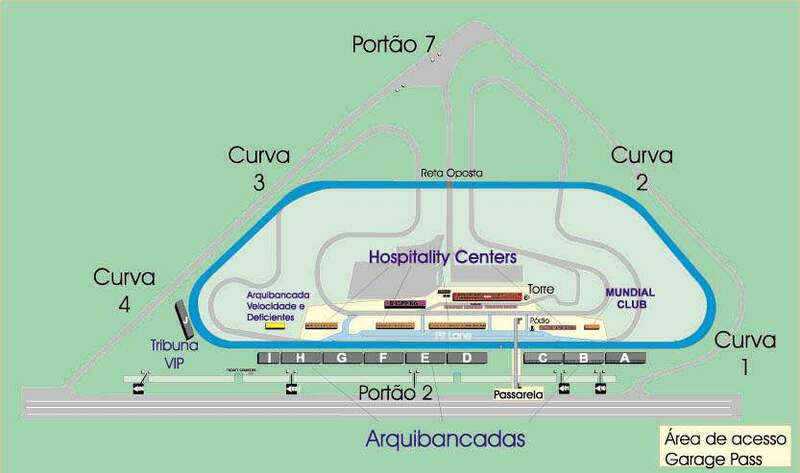 The 3.360 km Barra da Tijuca road circuit, operational from 1964 to 1970.